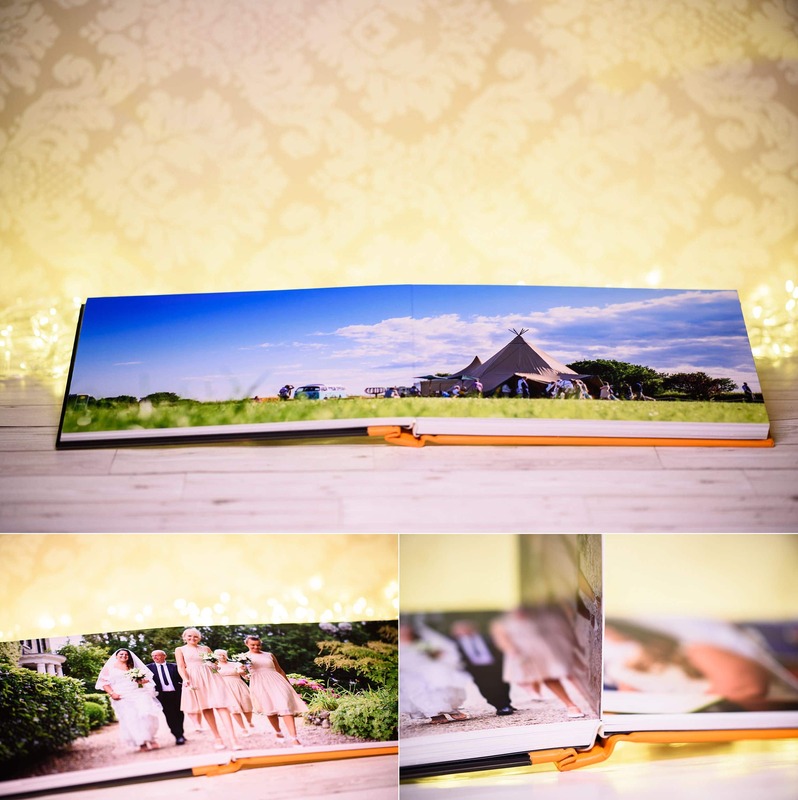 I’m delighted to be able to introduce you to my exquisite range of beautiful hand-crafted wedding albums – individually made to exacting standards by a team of skilled craftsmen in Scotland. Using only the highest quality materials, leathers sourced from Scottish tanneries and the very best printing methods & binding techniques, an album is one of the best possible ways to showcase memories from your special day. Finding such a stunning range of products, made from scratch within the UK and having the ability to create a truly unique album is something I value. Wherever possible I aim to use smaller, boutique suppliers who care about your album just as much as you or I. I don’t want your album to be one of hundreds in a queue. I want it to matter and for the care put in to creating it to match the love you will give it for many years to follow. In this modern digital age when more photographs and fleeting moments are captured on cameras and mobile devices than ever before, yet forever consigned to be forgotten about once the moment has passed, there is something delightfully traditional about preserving your memories in something you can touch. 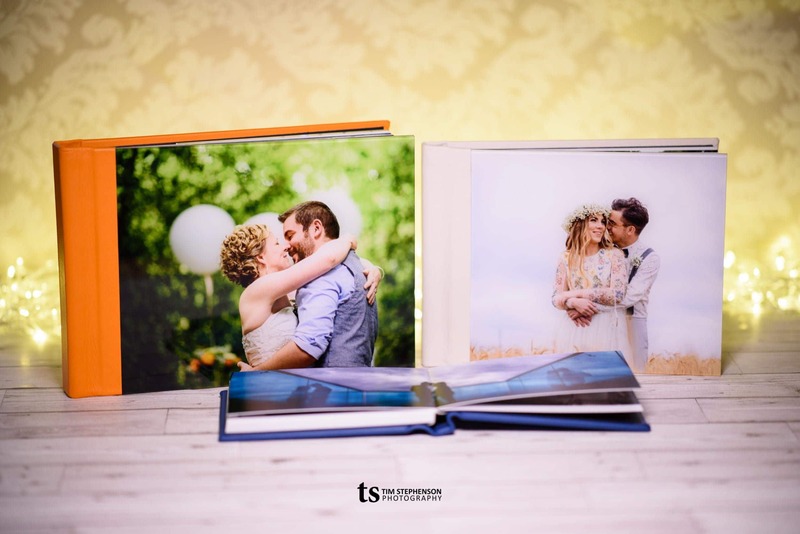 Printing photographs creates lasting memories – and using those photographs to create an exquisite storybook from your special day bound in beautiful Scottish leather or with a modern acrylic cover provides a timeless medium through which to ensure your memories are preserved forever. All of my wedding albums are individually designed, working with your chosen images to create a perfectly finished product which is as unique as your special day. Once you’ve picked your favourite photographs, we’ll work on the design together with you involved throughout the process and able to preview every page before we order. As countless potential combinations of size, shape, cover materials, colours, options for personalisation and duplicate copies are available, I offer one simple Collection as a starting point; priced at £450. or, 1 x 12×9″ 15-spread / 30-page album and a smaller 8×6″ duplicate copy; both with your choice of cover. Additional duplicate copies can be added to any order containing an 14×10″ or 12×9″ album with prices starting at £105 for an 8×6″ 15-spread duplicate with a linen or leatherette cover. Albums are supplied in a natural cardboard box & cotton bag with the option to upgrade to a premium presentation box if desired. Albums can be pre-ordered either at time of booking (don’t worry – you’re not committing to a particular style, shape or indeed size at this stage! ), or added after your wedding day. As always, if you have any questions about the albums I use, please get in touch for a chat. If you choose to book a no-obligation consultation to discuss your day I will always bring a selection of albums and books for you to view, just ask! In the photographs on this page, the album with the orange cover is a 14×10″; cream 12×9″ and blue 8×6″.